With the winter season upon us, we launched a new campaign targeting customers who have visited the GBagz Gear site. Retargeting ads convert window shoppers into buyers. Generally 2% of shoppers convert on their first visit. Retargeting brings back the other 98%. Retargeting works by keeping track of people who visit your site and displaying your retargeting ads to them as they visit other sites online. Do you sell a product or service online that involves more time and research than a typical product? 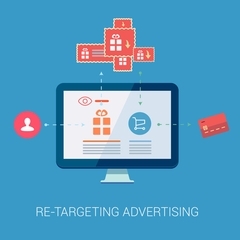 Retargeting ad are also perfect for those businesses catering to a longer sales cycle.